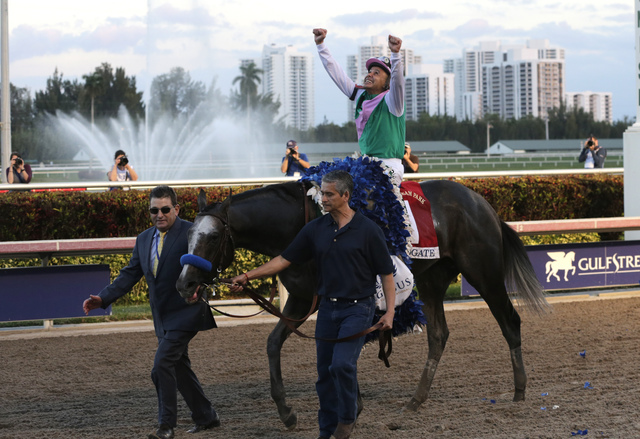 Each of the 12 stalls was filled to face two overwhelming favorites in Arrogate and California Chrome. The buyer of each stall paid $1 million, which in hindsight looks like a poor Las Vegas future book bet to many of them. I would compare it to 12 people betting $1 million each on 12 teams to win the 2017 NBA title. You would feel pretty good if you bet on Cleveland or Golden State. 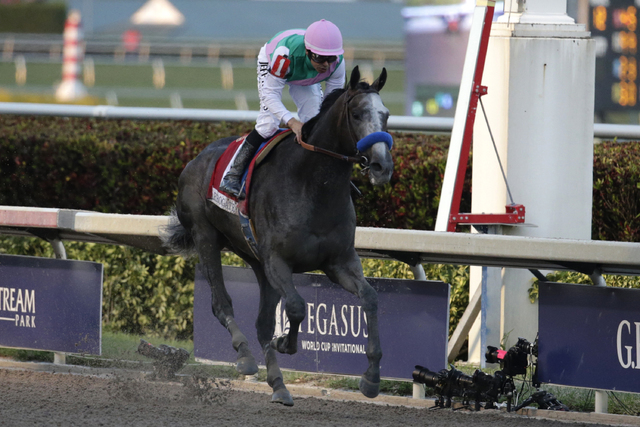 The Cavaliers and Warriors, in essence, were like Arrogate and California Chrome. You might like your chances if you have the San Antonio Spurs or Boston Celtics. But if you have the New York Knicks or Dallas Mavericks, you are the longest of long shots. And that’s what happened to most of the field in the Pegasus. The horses were like the Knicks trying to beat the Warriors for the NBA title. 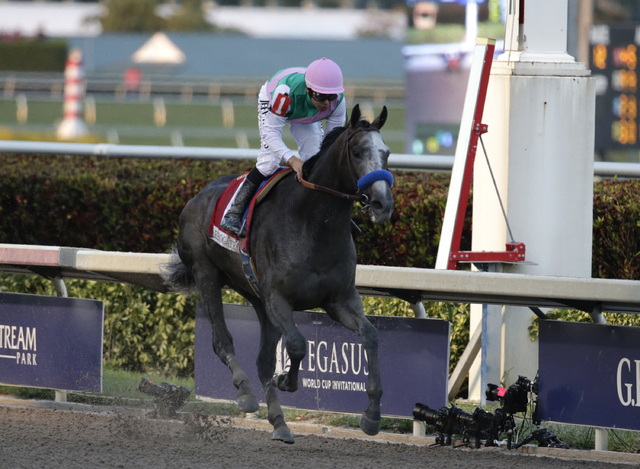 The Pegasus process will work if the field lacks a superstar such as Arrogate. But who right now would put up $1 million to try to beat him? The best you can hope for is he misses the race for health reasons. It’s always risky trying to see into the future. A key test will be if most of the 12 buyers pay the Stronach Group another $1 million for the next Pegasus. If they don’t and are not replaced by new blood, then the concept will die as quickly as it was born. No matter how rich someone is, he’s loathe to giving money away on a poor return on investment. I have not heard any reports of the revenue stream sharing part of the Pegasus. We just know for sure that each starter received at least $250,000. You can rely upon the sportsmanship of horse owners to a point. 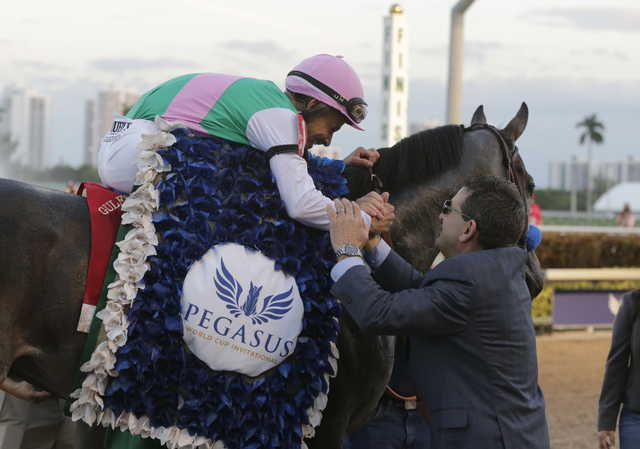 Successful horse owners like to see their animals go off favored or at least well bet. They don’t view themselves as 30-1 or 60-1 long-shot types. Those are odds reserved for the Knicks. The next points race on the Road to the Kentucky Derby is the Sam F. Davis at Tampa Bay Downs on Saturday. The Davis is the local prep for the Tampa Bay Derby on March 11. McCraken (2-1) is favored for good reason. 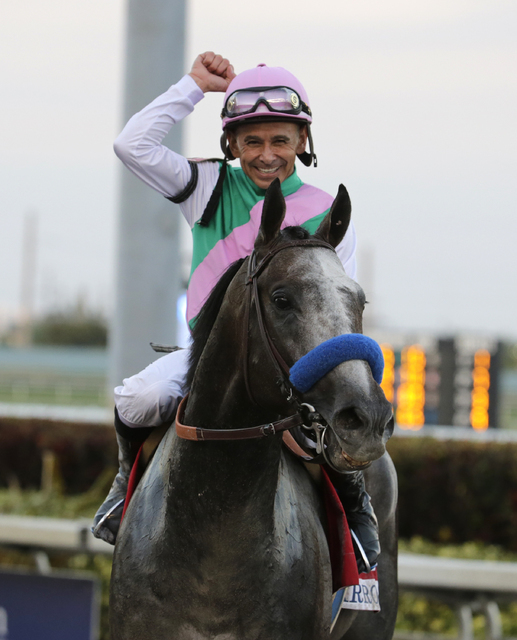 He is undefeated in three starts, including a win in the two-turn Kentucky Jockey Club at Churchill Downs last fall. His sire is Ghostzapper, a champion handicap horse, out of a Seeking the Gold mare. Distance should not be a problem. No Dozing (4-1) and Fact Finding (9-2) also will be heavily bet. No Dozing ran second in the Remsen last time and has trained well at Tampa for trainer Arnaud Delacour. Fact Finding was scratched by trainer Todd Pletcher from the Holy Bull for this spot. If you want a price play, include State of Honor (8-1), who is improving under trainer Mark Casse. Richard Eng’s horse racing column is published Friday in the Las Vegas Review-Journal. You can buy his Santa Anita Park picks at racedaylasvegas.com. You can email him at rich_eng@hotmail.com and follow him on Twitter @richeng4propick.